Normally, through a wish to remain unbias, I don't highlight an individual's work. However, I have to admit when I saw Manar Al Tawam's work, I became an instant fan. Since his class one reel, I loved how he has taken the usual animation exercises and tried something new. Animation Mentor Class 3 Progress Reel from Manar Al Tawam on Vimeo. On his blog, Manar includes some of his wip's. Alongside, he has provided some inspirational notes from his course at Animation Mentor. Please check out Manar's blog, including the wonderful post Clarity and Overlapping Ideas. Manar's AM class three was taught by Jason Martinsen. Manar compliments his mentor's technique of 'grabbing clips from animated movies & analyze them in terms of posing, overlap, anticipation.. etc'. Please check out how Jason uses this technique in his reel comparison in feature films including Rio, Horton Hears a Who and Ice Age. Inspirational. My thanks to both artists. Sometimes dreams really do come true. That's exactly what happened when I had the privilege to interview Dreamworks animator, Kevan Shorey. His shot of Megamind as a child, means so much to me. For both reigniting warm memories of my childhood and then granting me this interview, thank you Kevan. What inspired you to become an animator? As an only child growing up in a smallish village in Wales, I tended to gravitate to activities that required imagination. I read a lot. I drew a lot. I played Lego and computer games. I would become invested in the worlds and the characters that I was experiencing at the time, expanding on their stories in my head and externalising them through drawing. As a teenager, I re-discovered the Star Wars films, which in turn led me to learning about their creation by Industrial Light and Magic. Around that same time Pixar released Toy Story, and between those two events I knew that's what I wanted to focus my studies on. At age 16 I tailored my A-levels (high school level specializations) to a combination of Mathematics and Design-related subjects; to satisfy the entry requirements for the particular university degree that I wanted to pursue, which was the Computer Animation program at the National Centre for Computer Animation, Bournemouth University. Having secured the place, I deferred a year so that I could study Art and Design at the Glamorgan Centre for Art and Design Technology. With some techie and artistic exposure under my belt I felt better prepared to go off to university to study Animation. You studied at Bournemouth University, England. Do you have any fun memories you wish to share? It's been so long since I graduated that it's all a bit blurry. Ha! I had a great time though. I made lots of friends and learned the foundation of all that Animation stuff that I still practice today. An immersive environment is probably the one big advantage that brick and mortar institutions have over the increasingly popular online Animation training, for it is tough to replicate the physical connection both between lecturer and student and between the students themselves. At our degree show I vividly remember being introduced to Shelley Page by Phill Allen, my course leader. Shelley is the European representative for Dreamworks Animation. She saw my short film at the show and sent a copy back to PDI in northern California. It was this that started the dialogue that eventually saw me starting as an Assistant Animator at the studio. I went back to Bournemouth for a week last January for the first time since graduating, having been asked to guest lecture to the final year students. It was very interesting going back in a different capacity, and it became clear just how much I've learned since I left university. For example, I didn't know what blocking was when I started at PDI. Everything I had done up to that point I had layered together to create finished work. That was an eye-opener. Tell us about the challenge to relocate and settle into a new country. Any move is a stressful undertaking but moving continents definitely makes things a lot more complicated, particularly if you're entering the US as an "Alien", (the official term). Most international workers will not be able to step on to US soil without a valid work visa, and that requires securing the position first. The company sponsors the process, then you have to go to your local US consulate to get the paperwork. Once you've hopped off the aeroplane there are lot of fun things like social security, credit history and accommodation to take care of. As the citizen of a country with socialised medicine, the US healthcare system is also a bit of a minefield. Most problems are surmountable though, particularly with the help of an organised HR department. In 2011, Dreamworks was listed in the top 10 places to work. Please talk a bit about what you, as an animator, find unique about your studio's working environment. What makes the company such a great place to work as a Character Animator is the diversity of work in different styles. You have the opportunity to transition to a number of different projects in which the animation style ranges from the exaggerated cartoon seen in Madagascar to the grounded and nuanced performances of Dragon or Guardians. The style determines the way in which your approach the characters' performance, and finding out more about them is fun and challenging; the result of which makes you a better Animator. How has the studio helped you mature as an artist? The studio offers creative classes in many different disciplines to expand artistic range. My own growth as an Animator has been the result of experience and the exposure to the accumulated knowledge and talent within my department. Feature Animation is the product of many conversations between peers, supervisors and creative leadership. Usually I can get the backbone of a shot working, but it's the little suggestions and notes from peers that subtly nudges the shot into a place where it is so much more than it would have been otherwise. Here's a dorky post on something that came up as a result of chatting about my work over a a quality British cuppa. Please talk a bit about your working relationship with cube-mate Guillermo Careaga. Guillermo is one of those rare animators who is an outstanding generalist. People normally show an aptitude for acting or physical work, cartoony or subtle, but G can do it all at the highest level. This means that he is an amazing sounding board for ideas, and we go back and forth on critiques multiple times a day. A less talked about skill, but so important to professional work is focus. When my eyes start to cross and I realize that I've been staring at the ceiling for five minutes, it's great to be able to look over and see Guillermo working away! This mental slip-streaming helps me re-establish my own concentration, and is not to be under-valued! Your animation work on Merry Madagascar was nominated for the 2009 Annie Award. Please talk a bit about the production and the feeling of be nominated. I knew that my my work had been submitted by the studio, but I first heard about the nomination from a phone call from my wife, who had checked the Annie website. I believe my first thought was, "Oh ***k I hope I don't have to make a speech." Fortunately, my good friend Phil was also nominated and deservedly won so I didn't have to, and he gave a very good speech. PDI collected 3 of the 5 nominations in the TV category that year, and it was amazing to just be nominated and be able to attend with my wife and friends. Apologies for the repeated use of links to my blog, but here's some stuff on Merry Madagascar. The fast turn-around of shots on the show was a challenge for me, but I feel that the attention to detail paid off, and to be nominated affirmed that approach. Your reel explodes into action with the reveal of the queen dragon. The dragon has a lot of brute force and weight, but how did you begin to envision the mind of this character? I think we can all agree that Blizzard are one of the world leaders at doing giant, CG snarly creatures, right? 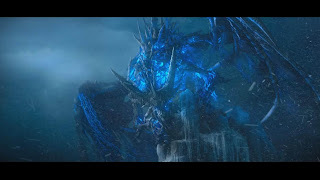 On the reveal of the Red Death I wanted the audience to feel a similar sense of awe to that I experienced upon seeing Blizzard's "Wrath of the Lich King" cinematic for the first time. Sindragosa, an undead dragon, is raised from beneath the ice with a fantastic feeling of both malevolence and mass. It's all about the massive inertia that a huge creature must fight to accomplish an action. Actions can be quick, but must take a comparatively long time to build up momentum and then realise that energy at the end of the move. I love your shot of Megamind as a child, staying up late with his torch. It reminds me about how, as a child, I would hide a book under my pillow and read when my parents thought I was asleep. Please talk a bit about this shot. This is a good example of starting with one pose and then building outwards. 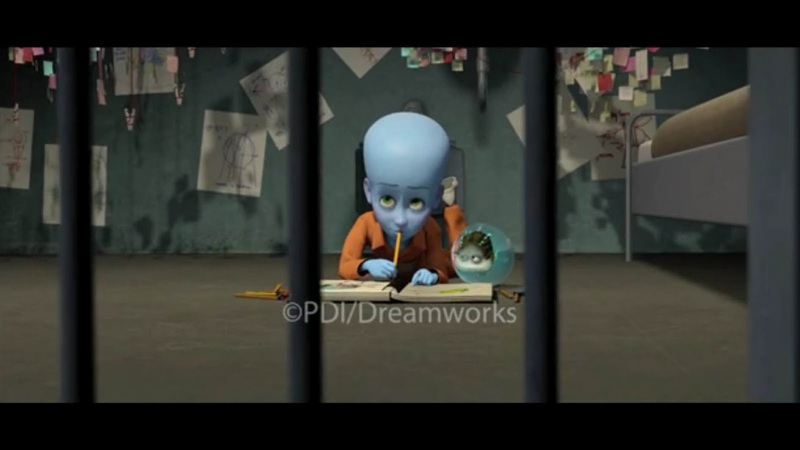 I wanted mini-Megamind to be as appealing as possible so fiddling with his pencil and sticking his light pacifier in his mouth seemed like good little choices to accomplish that. It was important to me to have the little guy completely focused on his task, with the warden coming around and shutting off the lights only registering enough to remedy the situation before continuing. Mini-Mini scooches over for a snuggle, which MM also accepts without conscious thought. You have animated many animals with different styles of realism. Please discuss the challenge of animating different types of creature. Like acting in Animation, both cartooned and naturalistic motion requires a study of the fundamental mechanics and behaviour involved. Learning how something moves is an important part of being able to caricature it in a way that is appealing (Dug from "Up", for example). From there it is a case of how you wish to emphasise certain traits depending on the style of the piece. Another level of complexity is added by the possible anthropomorphism of the characters, so mechanics, animal and human behaviours are all linked together. Once you have an essence of the creature that people can identify from their own experiences, it is a good hook for grabbing them emotionally. It's the key to "Simon's Cat"'s success! Please talk a bit about any unexpected moments of inspiration generated through studying animal behaviour. Studying young animals it becomes clear just how quickly their instincts develop, if not their bodies. Kittens will attempt to stalk anything and be completely rubbish at it because their bodies aren't quite co-ordinated yet. A lot of falling over is involved, and lots of wasted energy, that you don't see in an adult. In the feature film, Shrek discusses the similarities ogre's have with the stinky vegetable. Do you often experiment with different styles and techniques to help add different layers to your portfolio? Since I normally work within a look of picture my experimentation is usually directed towards character performance and the best choices that they would make. As a result of the various projects going on at the studio starting on a new show or even a new character requires a certain level of individual exploration. Do you ever find yourself struggling to find/relate to a character? If so, please talk a bit about how you approach this particular challenge. If I'm struggling with a character it's usually to do with realising the thing I've got in my head. That's the time to wander off and talk to others for inspiration and help on externalising those ideas. It gets easier as you spend more time with the character and develop an affinity for the personality and the technical aspects of the rig. Tell us about your experience teaching for Animation Mentor. AM is probably the biggest innovation in Animation since the introduction of Computer Graphics in to the industry. That students can have access to top tier animators who help them develop is pretty amazing. The number of AM grads working at big name studios is testament to this success. As a campus mentor I provided written critiques for a number of students each week. It was a good opportunity to improve my own skills and help others at the same time. 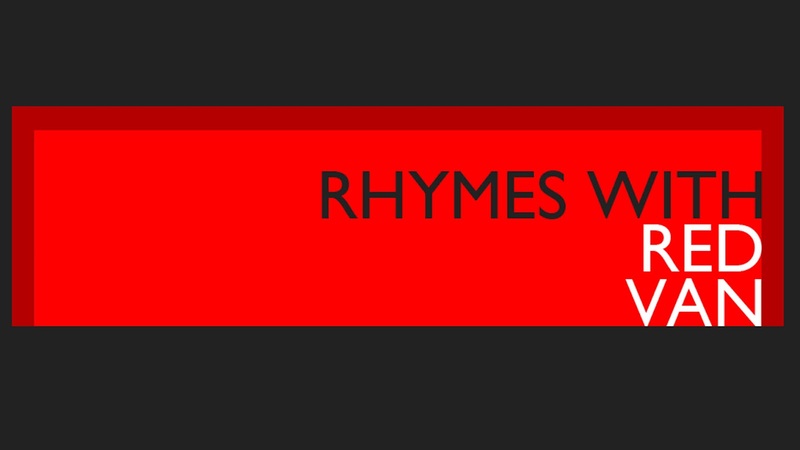 AM has recently removed the role of Campus Mentor, so I decided to put the time in to doing free video crits for anyone who wants them, one per week. It seems to be going OK, so far! Did you find your students had any common problems? If so, what advice would you now provide to help solve the issue. If there's a common, (and totally understandable), problem, it's the desire to create something very complicated and fancy before the fundamentals have been mastered. There's also a danger that in focusing on the bells and whistles, it's at the expense of the core mechanics and performance. Many Animation programs start slow for a reason, and that's to give those learning the craft the mental toolset to build the cool stuff on top of a solid approach. The 11 Second Club competition provides only a month for an animator to animate a story to an audio track provided by the club. What advice would you offer to someone planning their 11 Second Club entry. Since the audio is fixed, look for opportunities to build on any contrast contained in the dialogue to make it more interesting to your audience. What will get win votes is the ability to resonate with the audience as much as technical execution, so consider choices carefully. It could be as broad as a full body gesture or as small as a sly look, but the choice has to be true-to-character. Furthermore, a simple shot done well is more likely to be successful than a very ambitious shot that ran out of time. Thanks very much for the opportunity to contribute to the club blog! Hey guys, sorry again for missing last months video. I had a lot of stuff going on which got in the way of me making a video. I am back now and I have a new video for you, this time about opposite actions. I hope you guys enjoy it and learn something. This is a nice and heated idea, everyones work flows vary and often for the first few years of animating it changes a little bit every shot. I know for me it has, I did some straight ahead spline, some spline blocking hybrid, a strange combination of everything that ended in mush before I ended up with something that resembles the way I work now. In this post by Animation Addicts we get a little insight into the idea of blocking and the different ways one can go about doing it as well as some pros and cons of each variation. Right now in most my shots I do a general blocking pass with sketches to sell my key poses and after talking it over with some friends. I test it in Maya in stepped mode. After feedback I'll tighten that up into 2's or 4's, sometimes 8's depending on how much movement is in that section and make sure everything is working. In this time I might switch a few controls into spline to test the pace but I always make sure to keep my keys in columns. Once everything flows then that is when blocking ends for me and I can leave stepped mode with all the controls. When does blocking end for you? What's your favorite way to block out your shots? This time we got some really nice animations for the Mini Challenge! Second is Guillaume Gilbaud, with a very nice piece of cartoony acting. I always feel like that when I have to stand in line! While I personally love animating clay, with it’s limitless flexibility for a puppet’s face, it’s not for everybody. I’ve had a lot of students who just didn’t like getting clay all over their hands, and were frustrated with the cracking, re-sculpting, and unintentional blending of colors. A painted rubber latex face may not be able to bend in all the directions you may like, but it will hold its shape, color, and detail throughout animation. The rule of thumb is that a clay puppet is faster to create but takes longer animate, while a stop motion puppet takes longer to create but less time to animate. Perhaps this tutorial can help you choose. 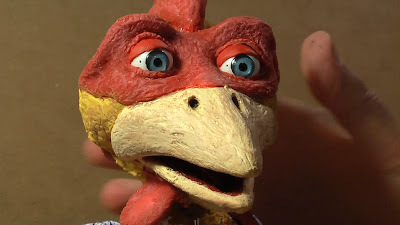 This is a summary of the process I used to create a chicken puppet. The head is rubber latex and the body is covered in craft feathers and cloth. This mini-challenge is inspired by the Olympic games. With the opening ceremony only weeks away, its time for your character to step up and prove you have what it takes to go the distance and lift the gold medal! We wish to see clips of your character training for the Olympic games. At our Mini Challenges try-outs, we are excepting competitors of all shapes and sizes. There is no physical restrictions for your own Olympic athlete. We invite you to think out the box. What makes your athlete so special? He could be as strong as the mighty Hercules or Obelix, or maybe a little clumsy like Goofy in Disney's 1942 short 'The Olympic Champ!'. As always the animation could be anywhere between 75-125 frames. If you have any questions about submission requirements, please check How-to-participate section for more details. To provide more time to create, the Mini-challenges will now be run on a monthly basis. The deadline will be Monday 30th July 2012. Good luck and happy animating! I would hope that at this point everyone has seen our original post on Jeff Gabor's AnimSchool Webcast . When we fist posted it only part one was available and I wanted to put an update but was afraid it would get lost because it is so far down in the blog. Over at Spungella they have put them all together in one post for us to watch. If you have missed this whole thing or parts of it head over now to see some incredible insight into the mind of one of the best animators out there today. Click here for the Spungella post on Jeff. Head over to his blog to see some great shot progression posts.